NEW BERN, N.C. — Brunswick Corp., the parent company of many boat builders — including Bayliner and Sea Ray — is reportedly close to completing the sale of two well-known yacht brands: Hatteras and Cabo. The company announced its intention to sell both lines back in January, and an insider with knowledge of the firm and its dealer networks told The Log Newspaper that a sale is expected to be finalized as early as next week. News of the sale first came to light July 24 in a report from the Sun Journal newspaper in New Bern, N.C. — the city where both Hatteras and Cabo yachts are built. According to the Sun Journal, Robert Nenni, vice president and CFO for Brunswick’s Hatteras/Cabo Yachts division, sent the city of New Bern a request to transfer the company’s electric service — which is provided at a special economic development utility rate — to Navis HCY Acquisition LLC, an affiliate of Philadelphia-based Versa Capital Management. The president and CEO of Hatteras, John Ward, confirmed to the Sun Journal that Navis was buying Hatteras, but he said the deal was still being negotiated and was not yet finalized. Versa Capital’s specialty is turnarounds of so-called “distressed” investments through improved operational and financial management, and it claims to have $1.2 billion in assets under its management. Its affiliates own Black Angus Steakhouse, Polartec and Eastern Mountain Sports, among other companies. In January of this year, Brunswick Corp. chairman and CEO Dustan E. McCoy released a statement announcing the company’s intended sale of the Hatteras and Cabo boat lines. It had acquired Hatteras in 2001 and Cabo in 2006. “This action reflects our decision to exit the sportfishing convertible category and to concentrate our resources in the yacht segment on our remaining brands,” McCoy’s statement said. He added that Hatteras and Cabo lines were being sold with the assumption that a purchaser would retain the North Carolina plant and its workforce. The sole Western U.S. dealer for both Hatteras and Cabo yacht lines is Stan Miller Yachts, which has locations in San Diego, Long Beach and Newport Beach. 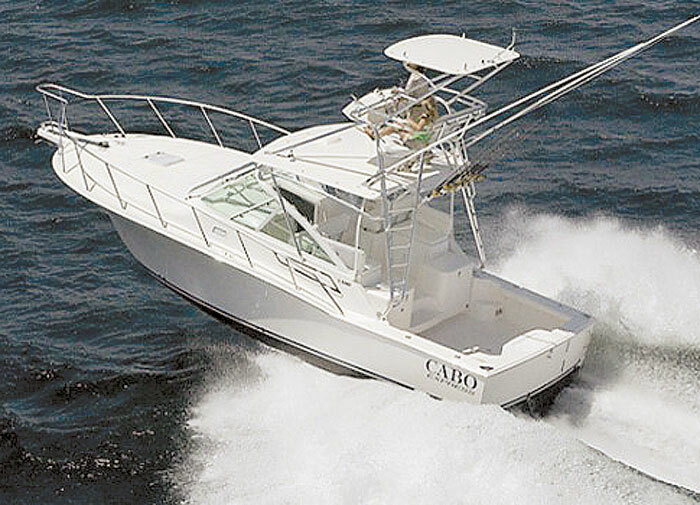 The company is hosting its annual Cabo/Hatteras/Viking Challenge sportfishing tournament Aug. 16-18, for owners of those boat brands. Stan Miller Yachts’ president John Buettner said he could not comment on reports of Hatteras and Cabo yacht lines’ imminent sale, but said he was looking forward to the upcoming yacht owners’ tournament. He anticipated a good turnout for this year’s event — the first in which participants will be able to start from either San Diego or Newport Beach.